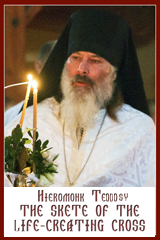 Our Venerable and God-Bearing Father Euthemius the Great (473); January 20. Troparion (Tone 4): Be glad, O barren desert;* take heart, you who have never known labour. * For a man of the desires of the Spirit* has multiplied your children. * He planted them in godliness* and reared them with self-mastery to perfection in virtues. * By his prayers, Christ God, grant peace to our lives. Kontakion (Tone 8): Creation found joy in your precious birth* and in your divine memorial it takes courage from your many miracles. * Grant a rich share of your wonders to our souls, O venerable Father,* and cleanse the stains of sin that we may sing: Alleluia. Epistle: (Heb 13:17-21): Brethren, obey your leaders and submit to them, for they are keeping watch over your souls and will give an account. Let them do this with joy and not with sighing—for that would be harmful to you. Pray for us; we are sure that we have a clear conscience, desiring to act honourably in all things. I urge you all the more to do this, so that I may be restored to you very soon. 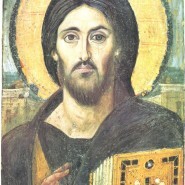 Now may the God of peace, who brought back from the dead our Lord Jesus, the great shepherd of the sheep, by the blood of the eternal covenant, make you complete in everything good so that you may do his will, working among us that which is pleasing in his sight, through Jesus Christ, to whom be the glory for ever and ever. Amen. ‘Blessed are you who weep now, for you will laugh. ‘Blessed are you when people hate you, and when they exclude you, revile you, and defame you on account of the Son of Man. Rejoice on that day and leap for joy, for surely your reward is great in heaven; for that is what their ancestors did to the prophets.